I saw a tweet from @dalmaer that HTML5 Boilerplate was nearing its first release and decided to challenge myself to setting up a “Hello World” website with all the essential basics in 120 seconds (I did not – I actually fell over at the first hurdle with file permissions). 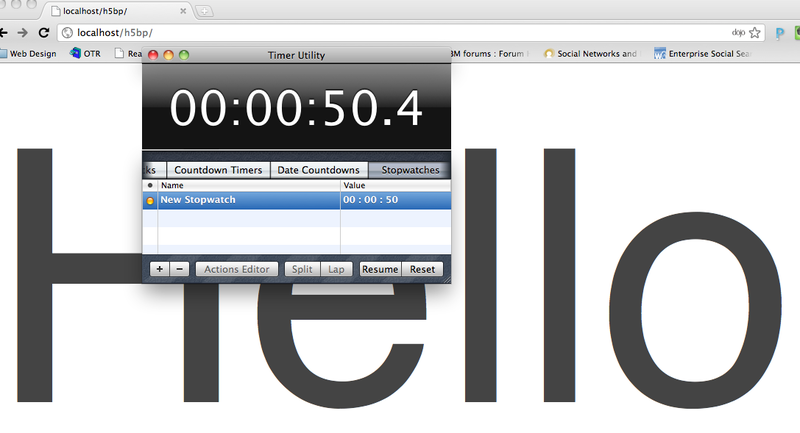 … on a more serious note, HTML5 Boilerplate is nice and handy for those who want to get setup in 120 seconds. Will HTML5 Boilerplate add Dojo loader alongside jQuery for the release? There are times when I like to have a separation of content and presentation in my iWidgets, with the presentation defined through style sheets. If multiple instances of this iWidget are deployed on the same page, then there may be implications of the style sheet being loaded more than once. 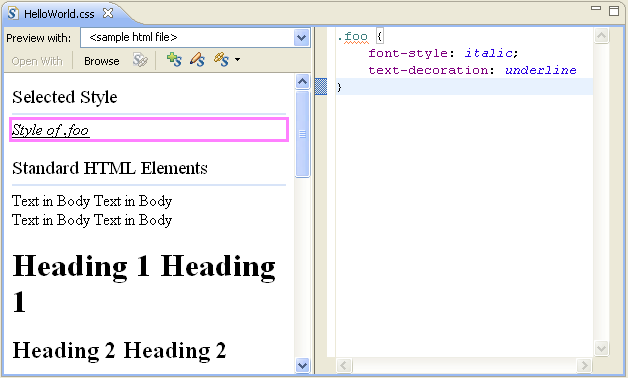 This can be addressed by adding code to loadStyleSheet to check whether the stylesheet has already been loaded. A summary of my iWidget development in the classic “Hello World” format. Bring up WebSphere Integration Developer and get on the “Web” perspective. Ask to create a new “Dynamic Web Project”. EAR or WAR? If EAR, say yes to “Add project to an EAR” – if WAR, say no. For iWidgets, I would use WAR’s. The iWidget editor should then appear. A good opportunity to explore. When you’ve done – there’s nothing that needs to be done here if all what you want to see is a “Hello World” iWidget. The wiring aspect of the iWidget can also be tested through using the widgets in the middle (currently blank as the iWidget has no configured events). with contents for the catalog file based on this and for the endpoints file on this. 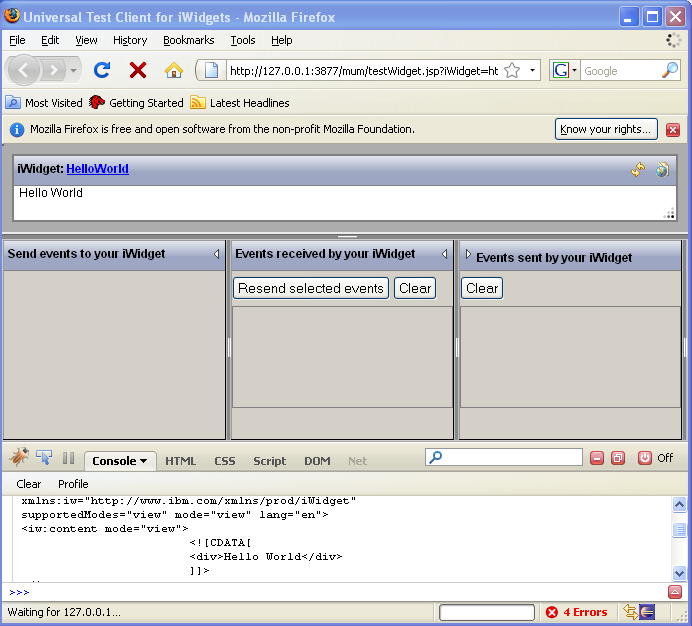 Reload Business Space in the web browser and the widget should appear in the palette. Thanks to E. Wayne and V. Ramamoorthy – particularly updating Business Space’s palette on Portal. Business processes that are developed for WebSphere Process Server (or, in my case, WebSphere Dynamic Process Edition), often involve what is known as “Human Tasks” – steps for the mankind. Human Tasks can be executed through the web browser, e.g., by filling in a form. They are often presented through what is known as “iWidgets” deployed to a mashup portal called “Business Space”. The iWidgets and Business Space are linked to the Process Server backend using RESTful API’s. A properly configured Portal would use the remote Process Server for Human Tasks stuff through their RESTful API’s which is explained on the Information Center. If the Human Tasks use web forms then there is however one more step that needs to be performed. When a Human Task is brought up, for example, in the Task Information widget, a 404 error will show – that the form could not be found. The problem here is that the web projects are deployed as part of their enterprise applications on the Process Server, rather than on the Portal. 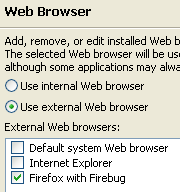 Bring up WebSphere Integration Developer (or a JEE-based tooling), switch to the “Web” perspective, and the web projects should appear in the “Enterprise Explorer” list – usually their names end with “web”. Look in the “WebContentt” of each project to see what forms there are – if there are, export the web project as a WAR file. In each of the web projects, open the “Deployment Descriptor”. In the “Overview” tab, on the right, under “Usage”, there should be text saying “The following Enterprise Applications use this web module” – click on the link that is shown as the enterprise application using this web module. In the “Deployment Descriptor” of the enterprise application, switch to the “Module” tab from “Overview”, under “Modules” list, select the web module that we’ve exported, and on the right, there is the “Context root” field, which we would want to take note of. Repeat for the other web projects. 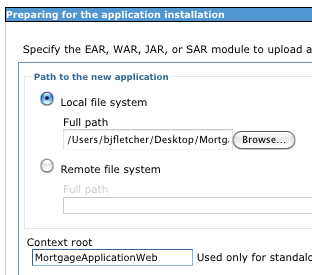 The WAR files can be installed through Portal’s WebSphere Application Server console the usual way – using the WAR from Step 1 above and the Context Root from Step 2.
and, with the common standalone Portal deployment, don’t forget to change from server1 to WebSphere_Portal in the “Map modules to servers” step of the WAR installation process. Thanks to T. Schulze for his contribution to this method. Working with a WebSphere Application Server-based solution that is deployed remotely on a Linux platform, such as in the cloud, with the Rational Application Developer-based tooling, is a popular requirement. In my case, the remote server was the WebSphere Dynamic Process Edition (WebSphere Process Server with a set of products including WebSphere Business Monitor) on RHEL, and WebSphere Integration Developer (WID). 3. deployment will fail if host name returned from remote server is not recognised by RAD/WID machine, look at what host name is used by the server by checking <WAS_HOME>\profiles\<PROFILENAME>\config\cells\<CELLNAME>\nodes\<NODENAME>\serverindex.xm – and adding the host name to hosts file on RAD/WID machine with the IP address of the server, for example – the host name in serverindex.xml in my case was “pear”, so I added “123.45.67.89 pear” (123.45.67.89 is the IP address of the server) to the hosts file. I had a set of applications deployed on a Process Server however they would not start as a remote server – a MQ server – was behind a firewall and was inaccessible. This firewall allowed the SSH port (23) however, so, naturally, I employed SSH tunnelling. In my current engagement, a question sometimes comes up regarding data in the mashup database (e.g., of the catalog that Business Space for WebSphere uses). There is a nice spreadsheet that explains in detail the database schema used, which is titled “Lotus Mashup Schema Data Dictionary (Basis: v2.0.0) and is located dbscripts/BusinessSpace/lotus_mashup_db_dictionary.xls in the WebSphere Process Dynamic Edition installation media. 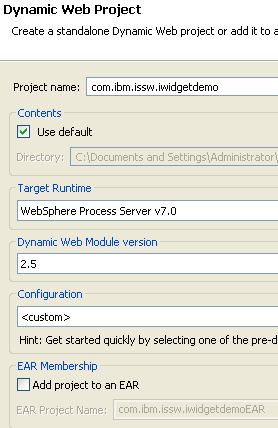 I had a requirement for WebSphere Portal 6.1.5 on WebSphere Process Server 7 (a common scenario) and so I tried this on 64-bit Ubuntu 9.10. It just worked. The following should help for a quick non-supervisor development environment with no need to perform platform tweaking. During the installation, ask to be installed non-root/supervisor. Ask for Samples and the WPS profile to be created if desired. The Installation Vertification should succeed. Understand that the 5th final step takes a long time. It all worked. The usual preparation steps (under “Preparation”) apply. In a previous attempt, the 5th final step of the installation failed – the media was on a path containing spaces (in my experience, this is a common reason with IBM middleware software). 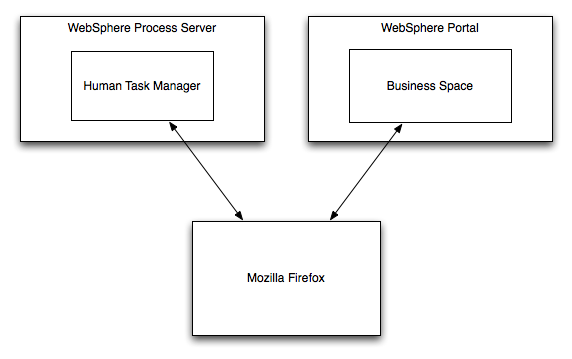 WebSphere Integration Developer 7.0, there is a single media for Windows and Linux. The installation files must be in a folder whose path doesn’t contain any spaces. See the Technote regarding this. where bjfletcher is my system username. See this page, which is also referred to by the launchpad application, regarding non-supervisor installation. I didn’t need a Java Runtime Environment (JRE) as the installation used its bundled JRE. To test, I asked the installer to install every package that was offered. All installed fine. The installer added launchers to the Applications menu on the Ubuntu desktop – one for IBM Installation Manager if not installed before, and one for WebSphere Integration Developer. It all worked great. No issues. There are some general 64-bit Ubuntu 9.10 changes (the “Preparation” section) and Eclipse 3.4.2 fixes that should be in place (e.g., to fix user interface issues). and then click “Recheck Status”. The complaint went and WebSphere Integration Developer was updated with 124 MB worth of downloads to 7.0.0.1.